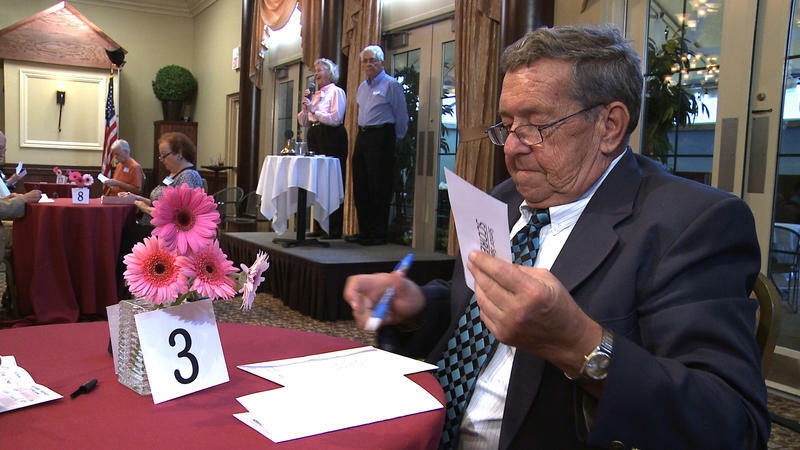 A new film called The Age of Love, which follows a group of seventy- to ninety-year-olds as they try speed dating, is coming to the University of Nevada, Reno. Reno Public Radio’s Noah Glick recently chatted with the film’s director, Steven Loring, to talk about what dating is like for this group. Noah Glick: Tell me a little bit about the film and what you experienced. Steven Loring: The story of the film is the adventures of 30 70-to-90-year-olds in Rochester, New York who sign up for a very unique speed dating event. And the film follows them from the time they sign up through their experiences at the dating event and when they receive their results, and then we follow several of the couples who go out on dates afterwards. You could describe it as kind of a humorous and poignant meditation on the overlooked hearts of that generation: the needs, the emotional desires of a group of people that we really haven’t paid a whole lot of attention to. NG: What are some of the things you learned about the community in making this film? SL: Probably the biggest thing I learned was that inside we don’t feel like we’re older. Our hair might be gray and there’s other wrinkles and things that come with aging, but our hearts and our desire to connect to be who we are and who we’ve been our whole life is really the same. 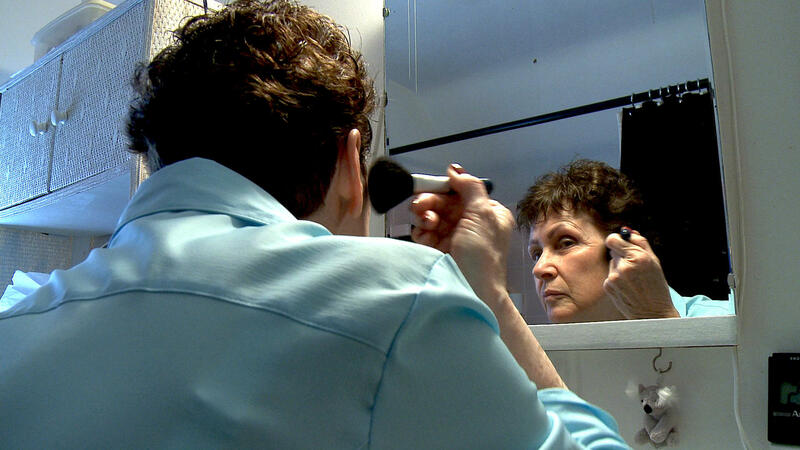 One speed dating participant, Linda, puts on makeup before the event. It was almost like their younger sides that were dormant for years or decades were starting to come out again. And by the time we got to the event itself it was almost like walking into a senior prom in High School. NG: I want to talk about one specific individual, Matt. He was completely and brutally honest throughout the entire speed dating event and that’s just something you don’t typically see among daters. SL: Matt was probably right up on top in terms of my favorite characters. Because here’s a guy with 24 hour portable oxygen tank, a walker, a hearing aid and he was so convinced that his soul mate was still out there, that love lie ahead for him. And so his heart is so much in the game. But the funny part, is that when he sat down across from women at this speed dating event, he talked about his medical history, diabetes, hearing loss [and] his wife’s death. 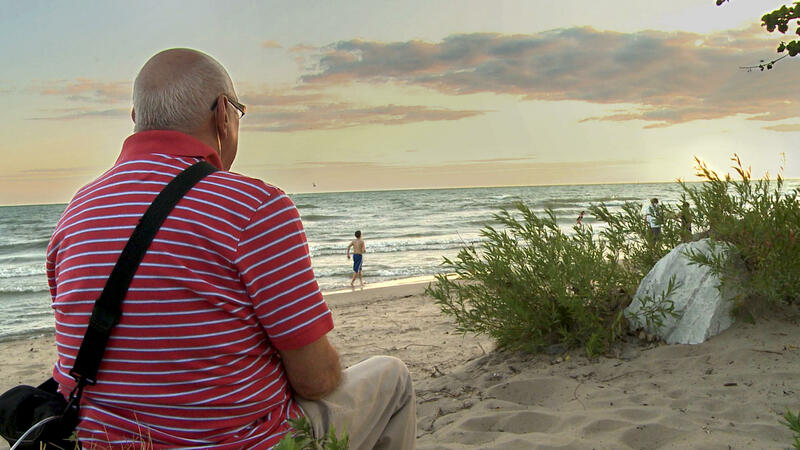 In the film, Matt shows viewers where he wants to take his date to watch the sunset. He was certainly willing to lay it all out for women and let them know where he stood. And that made him really one of the spirits of the film, because that’s what I found over and over is the need to reach out to another human being and find a connection, share yourself, is really fundamental. And why shouldn’t it be? Listen to the extended interview. A free public screening of the film, along with a Q-and-A with Loring, takes place September sixth at UNR’s Nightingale Concert Hall. You can visit the film’s website for more information and view the trailer below. A new political exhibit at the University of Nevada, Reno is exploring the history of political campaigns across the state. Reno Public Radio’s Noah Glick has more. 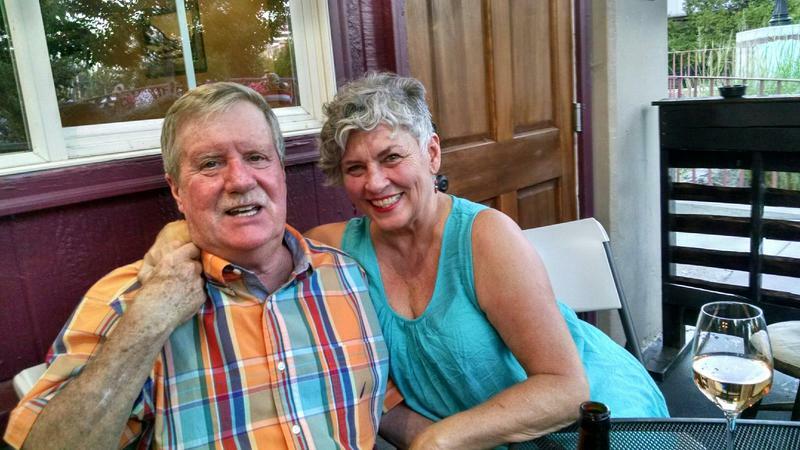 Just before New Years, KUNR broadcaster Duncan Stewart and his wife Cheryl celebrated 20 years of marriage and renewed their vows at a large gathering with friends at Sierra Tap House in downtown Reno. Prior to their marriage December 30, 1995, Duncan had been married five times and Cheryl three. With eight marriages between them that hadn't worked out as planned, the inseparable pair finally found their "soulmates" and a love that has endured. Duncan shared their story with David Stipech on KUNR's Beyond the Headlines (air date 1-15-16). 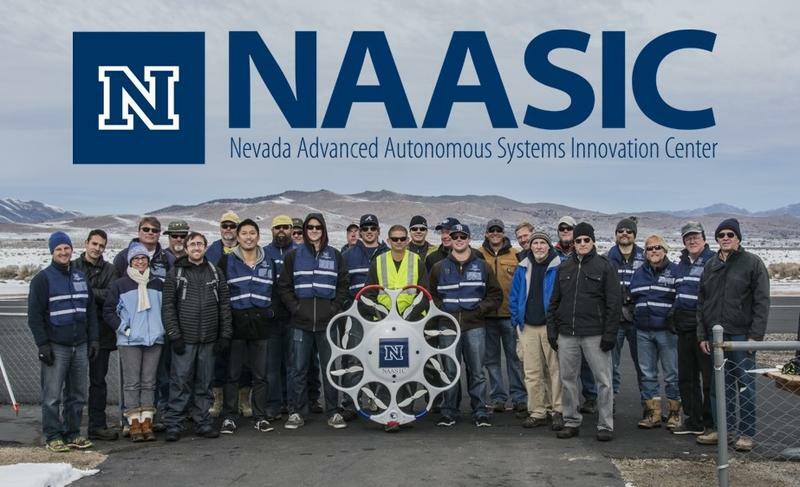 A partnership between The Boeing Company’s unmanned aircraft systems design team, Insitu, and the University of Nevada, Reno could help improve the way drones fly. Reno Public Radio’s Marcus Lavergne has more.